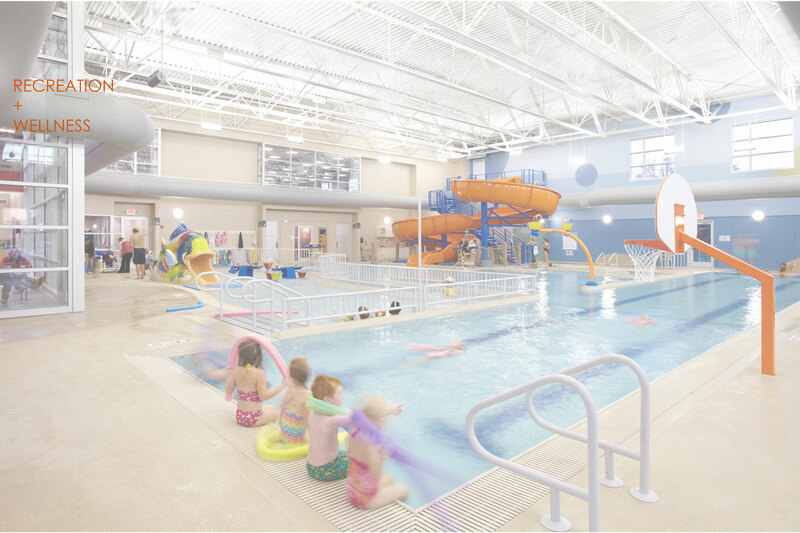 From mission-driven YMCA’s and community based health and wellness facilities to privately owned and operated centers that focus predominantly on fitness, Zimmerman’s recreation centers are designed to meet a broad range of needs for the clients we serve. What our clients’ customers see, feel, hear and how they feel when they are in one of our buildings can provide more reasons to join, visit frequently and stay engaged. Integration of flexible spaces facilitates adaptation to changing programmatic needs of the marketplace. The centers we design likewise focus on durability, maintainability, safety and staff efficiency to support the bottom line.